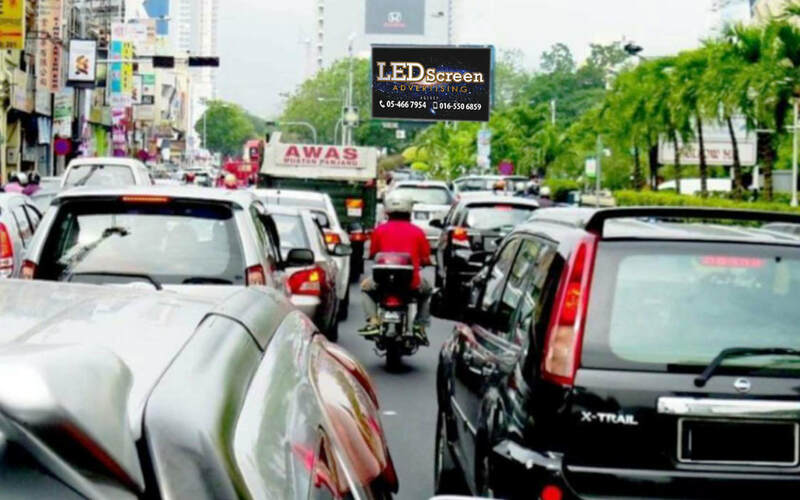 The LED screen is located near to the KOMTAR Tower in between the Jalan Penang and Jalan Penang. The opposite of the screen has another two junction which is Jalan Marcalister and Jalan Dato Keramat. The screen is targeting traffic entering to KOMTAR Tower.